Nothing makes a baptism or christening more special than an event catered by Niagara Catering Services. Here at Niagara Catering Services, we pride ourselves on serving delectable and amazing dishes for your upcoming baptism or christening. We are experienced in providing quality service to any occasion with a variety of menu options and serving styles. Come see why we’re the superior catering service in the area. We also offer affordable price solutions and prompt service for your guests. Setup is efficient, and we will always follow any specific instructions you may have. 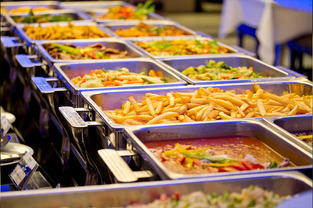 Niagara Catering Service offers a variety of food customization and presentation service options. From our mouth-watering appetizers, to incredible entrees, our food is truly exceptional. We also provide delicious dessert bars, and our personal chefs can whip up a beautiful cake to mark your grand occasion. After we build your menu according to your preferences for the event, we focus on the presentation style of the food to be served. We can serve your selection from formal to buffet services with food stations filled with scrumptious choices for your guests! We also have options where we decorate tables with choice selections and beverages according to your style. 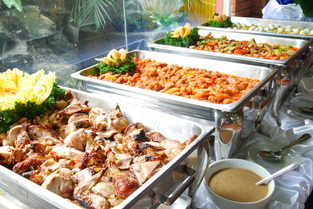 We offer a wide selection of foods all of the best quality for you and your guests at your Baptism celebration. With our elegant touch, your tables will stand out to truly make your guests feel special. We want this special day to be as classic and memorable as possible. 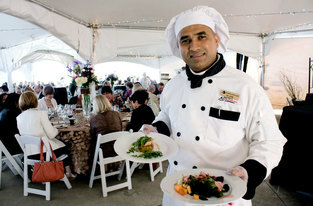 With Niagara Catering Services, we strive to provide an amazing dining experience for our clients. We also make any decorations surrounding tables and service stations elegant, inviting, and beautiful for your guests. In addition, if you have any last minute orders or coordination details that you need assistance taking care of, we are more than happy to help. Our goal is to assist you by serving you and your guest’s great food, presentation and high quality service so that you can sit back and relax, and enjoy your special occasion. Our focus is on guest satisfaction, and we do this by providing quality food and services by our service specialists. Whether you want a relaxing outdoor celebration, or a more intimate affair, we can accomplish both. We listen to our clients to create whatever mood or atmosphere you desire. With our professional experience, we can provide the catering to make any event go off without a hitch! 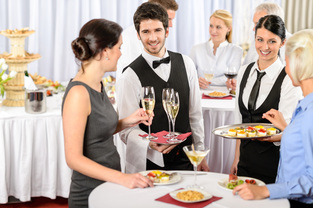 We pride ourselves in creating unique and inviting events for our customers. With our beautiful and customizable menu options, great venue choices in the Niagara on the Lake area, and our superb staff, you’ll wonder why you didn’t call us sooner for all your catering needs. With our services you need not worry about set-up, prep work, or clean up. We make each step look like a breeze. 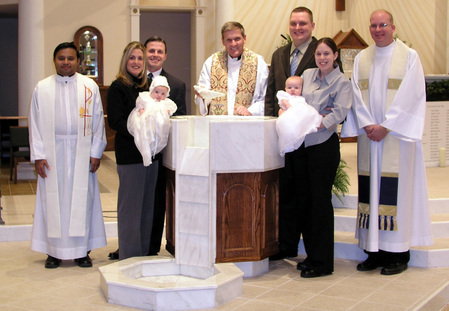 Complete the form on this page or call us at 289-273-2266 today to set up your next baptism or christening. With our superior and exceptional services, any event with Niagara Social Events Catering Service is beautiful and completely customizable.